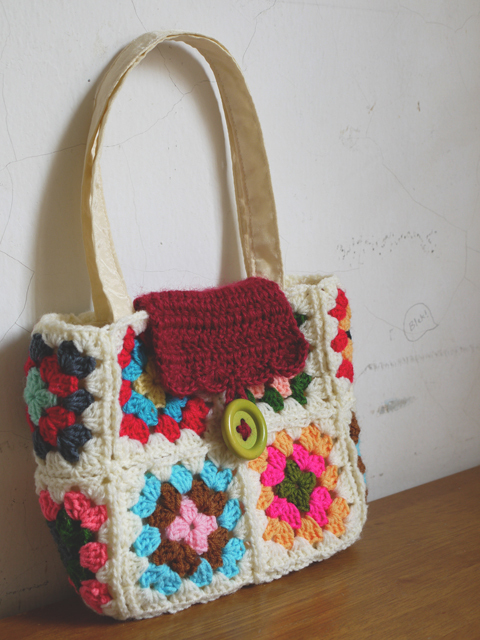 A cute crocheted handbag made by my aunt. Cool bag! Love the colors! 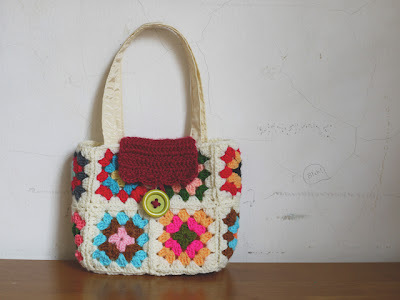 My grandma used to crochet and this little bag reminds me of her. ¡Enhorabuena por tu tia! El bolsito es precioso.